Ekiti State Governor, Ayo Fayose, today signed the N98.6billion 2018 budget into law. The 2018 budget was passed by the state House of Assembly on December 19. Signing the Appropriation Bill at the Government House, Ado Ekiti, Fayose hailed the legislators for prompt passage of the budget. 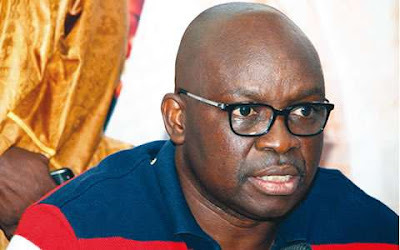 Fayose said: “This is the last budget I will sign as governor of Ekiti having done the little God has helped me to do. I commend the Assembly for standing by me. It is my prayer that this Assembly will continue to grow from strength to strength.